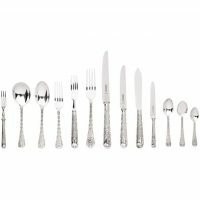 Home / Flatware / Silverware / Cutlery / Complete Sets / Elizabethan Pattern Sterling Silver Flatware Set By Garrards The Crown Jewelers. 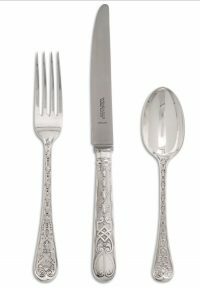 Elizabethan Pattern Sterling Silver Flatware Set By Garrards The Crown Jewelers. 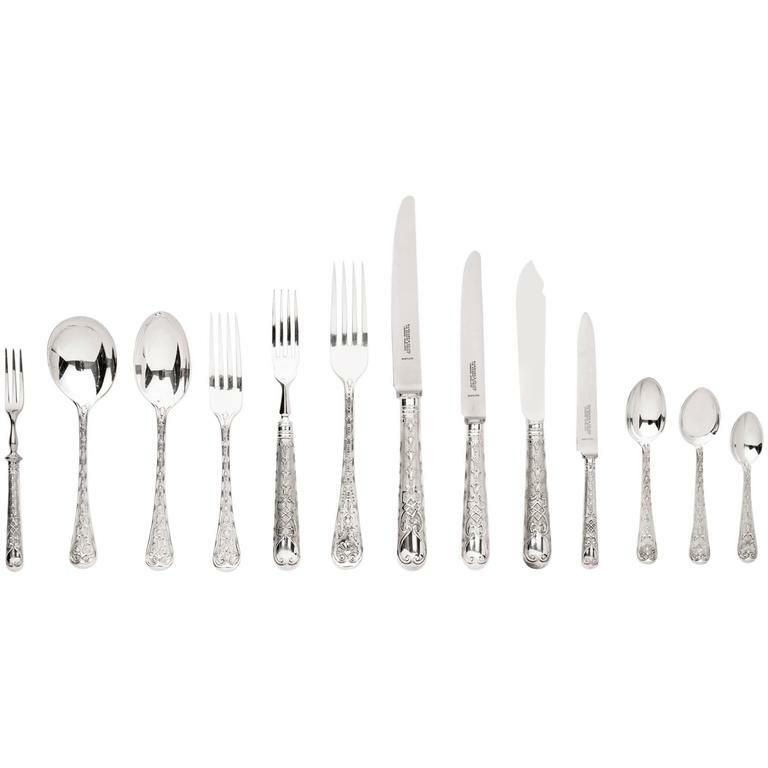 A complete, sterling silver flatware set for 12 people with a large selection of serving pieces in the rare Elizabethan pattern. The set is exceptional quality, and the entire set has been beautifully hand-forged, hallmarked by Garrads the crown jewelers of Regent Street London, 1954.